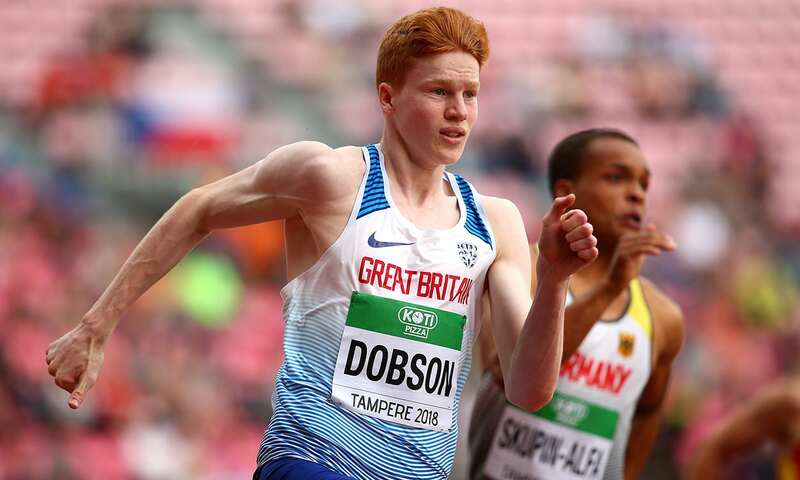 Charlie Dobson returned home from Tampere as a world under-20 silver medallist over 200m after finishing runner-up to his GB team-mate Jona Efoloko. “After the first two rounds of the 200m, and two consecutive PBs, I told myself I wouldn’t be happy leaving the competition without an individual medal,” the 18-year-old says. The Colchester Harrier had set his sights on reaching the IAAF World Under-20 Championships and running sub-20.7. He smashed both of these targets, running 20.65 to win his heat, 20.53 to win his semi-final and 20.57 to claim silver in the final – all three times being quicker than his pre-championships best. The teenager’s first outing in his national kit came at the Loughborough International when he surprised the seniors to win the race. “I was a little nervous beforehand, but it felt amazing to come off the bend knowing I was ahead of everyone and that I could just keep pulling away,” he says. More long term, he hopes to represent his country as a senior and join the select group of Brits who have run sub-20 seconds over 200m. Training at Colchester Garrison track and coached by Steve Garnham, Charlie credits having a close-knit training group, which includes his training partner, Rebecca Jeggo, for much of his success. His schedule includes three track sessions and three gym sessions a week. It is his training environment plus adopting a more holistic approach, which includes eating and sleeping well, that he feels has led to his big improvement this year, with his mum overseeing his diet, as opposed to his dad cooking him too many rib-eye steaks and homemade chips. “Also keeping my muscles in good condition with regular sports massage sessions is important,” adds Charlie.